Where do the three supervisor candidates stand on all the biggest issues in Riverhead? Read this guide to find out. 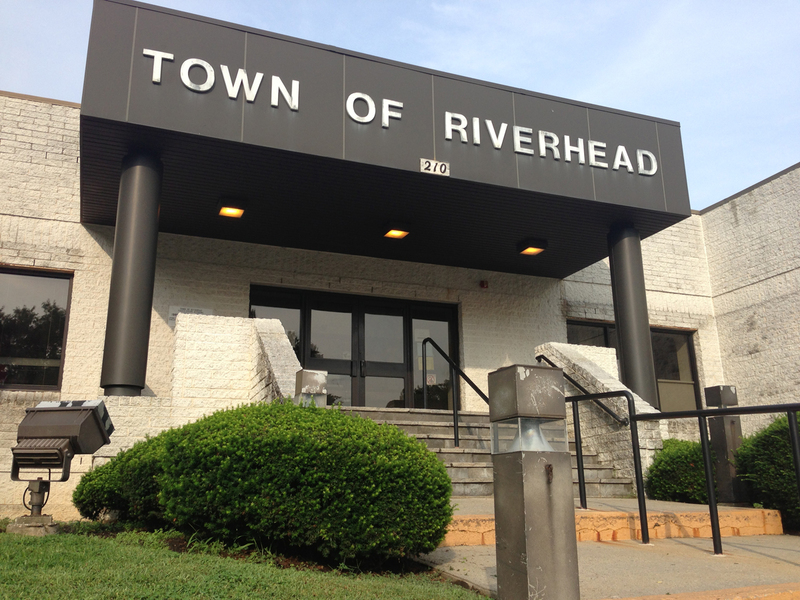 Riverhead Town’s supervisor candidates squared off in three public debates this election season, and with the News-Review editorial board, to give their takes on the issues and try to poke holes in each other’s records and plans for the town. Below is a rundown on how each of the three candidates — incumbent Supervisor Sean Walter (R) and challengers Phil Cardinale (D) and Greg Fischer, of the newly formed Riverhead First party — stands on the town’s biggest issues. Sean Walter says the way his predecessor, Phil Cardinale, was managing the town finances was unsustainable because the former supervisor relied too heavily on “one shot” revenues, mostly from surpluses, to balance budgets and keep taxes in check. Mr. Walter says he’s made the hard choices in office by trimming staff and trimming fat, department by department. He says spending only increased by .65 percent from 2010 to 2011 and that he expects about the same increase from this year to next year. He also says an internal auditor, which the town his hiring, will help this process along. Phil Cardinale criticizes Mr. Walter for “crying poverty” when taking office in January 2010 while the town had large reserves, $11 million of which he brought in through real estate sales contracts. And he says the layoffs were not necessary, given the reserves, especially the fire marshal. Mr. Cardinale believes he can generate more revenues for the town by pushing for a shared sales tax agreement with the county and through more land contracts. He says the current administration is responsible for the highest tax increase on Long Island from 2010 to 2011. Greg Fischer says his opponents, both attorneys, don’t fully understand the town’s financial problems, which he calls “rotten to the core.” He says his 30 years of business experience will help him understand the real problems. He says the town needs a new accounting system, which he calls antiquated, and insists “auditors won’t help.” He says the biggest problem is debt and that his plan to create a municipal power authority with lower power rates would help the town to pay it down. Greg Fischer insists underground pollution at EPCAL is more widespread than anyone realizes, and predicts the first company that buys “that unlucky parcel” in Calverton and hits pollution there is going to go bankrupt; and then no one will buy there. He says the land should be used for mostly entertainment venues, which he says typically don’t require deep basements. He also calls for “capping” some of the land, like what was done at the landfill, so people can build hi-tech industrial there without having to worry about pollution. Sean Walter says being very hands on in a block-by-block, store-by-store approach is the only way to rebuild downtown. He says he’s helped facilitate lease agreements between tenants and landlords and has worked tirelessly to attract new and existing companies downtown. He says he’s worked since taking office to bring an eight-screen movie theater and is in talks for other potential projects, both large and small. He says the threat of condemnation that loomed with Mr. Cardinale’s “master developer” approach with the Apollo group scared away potential businesspeople and investors. Phil Cardinale says that while Mr. Walter and his campaign has “taken credit” for downtown developments, all the new building projects downtown, like the Hyatt hotel and Dark Horse restaurant and apartments, were either under way or in the works while Mr. Cardinale was still in office. He also says ushering mom-and-pop shops in and out of Main Street is no way to revitalize the area for the long term. He favors comprehensive development — like what Apollo was trying to do “before the economy collapsed.” A big project with vision would take care of the empty buildings in the Suffolk Theatre area. Greg Fischer believes the Hyatt East End hotel project was wrong for downtown because of parking issues. He favors bringing 55+ housing and assisted living to Main Street because, he says, seniors don’t have as big of a need for parking. He says retirement housing could bring foot traffic of downtown and create a demand for goods and services to meet those residents’ needs. The seniors who lived there would also be in close proximity to medical facilities, he says, which would make downtown an attractive place live. “I would have retail on the first floors and assisted living above,” he says. Sean Walter says there is much about the town’s master plan that doesn’t work. He says that when the plan was adopted in 2003, “we didn’t have a proper balance on the Town Board” since three of the five members were from Jamesport and no one was from Wading River. He says that zoning should be similar in each of those two hamlet, adding, “We’re going to look at that and try to update the plan for Wading River.” He says the plan is not The Bible and needs to be amended. Also insists a building moratorium is not needed in Wading River as big project proposals have been already slowed by the economy. Phil Cardinale frequently criticizes Mr. Walter for calling the town’s master plan “a load of crap” and says the plan cost $500,000, and that “you don’t throw out master plans every five years. You look at zoning to implement the plan.” He also questions whether Mr. Walter, who has advertised himself as a zoning lawyer, can be trusted to deal with zoning matters in the town. Mr. Cardinale has also been critical of Mr. Walter and the Town Board for hiring a planning firm to study the Route 25A corridor but not imposing a building moratorium while he study is being done. Greg Fischer says the master plan “needs some spot fixes” and that “we don’t want to just move development around. The last thing we want to do is keep building, building, building. He wants to get zoning in place for assisting living downtown.